“Cross The Border” is an aptly named crossover album. It features many new songs, written by Jackie, with a recurring theme of people being caught at moments of indecision (“Which One Takes The Blame” & “Sometimes Love’s Just Not Enough”), or pausing at one of those life-changing moments (“She’s All Cried Out”, “Angel In Disguise” & “Cross The Border”). There are also amazing new interpretations of songs by Motorhead (“Ace Of Spades”) and Kylie (“Can’t Get You Out Of My Head”). The album is produced by the highly successful Pete Ware (Charlie Landsborough & Hazel Dean) and is co-written and arranged by London’s Steve Thiebault (The Carpenters, Branson USA & numerous West End credits). It features some of Scotland’s best musicians, including Dougie Stevenson (Billie Jo Spears, Boxcar Willie & Runrig), Willie Logan (a veteran of over 40 albums and one of the country’s greatest Country/Blues Guitarists) & Canadian Fiddle star Ian Cameron. Since leaving her native Scotland in 1994, Jackie has certainly paid her dues. Her singing and songwriting talents have been honed abroad, with gigs in a staggering 42 countries around the world. 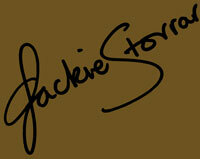 Despite all her travelling, Jackie has always tried to stay true to her roots. now it’s time for the rest of us to experience her magic too. “It gives me great pleasure to say that this is a wonderful CD. It kept me wide-awake on many long road journeys during my UK Tour! “This is a fine album of excellent original songs intermingled with some classic covers. 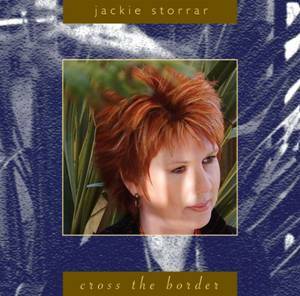 To find out more about Jackie’s new CD “Cross The Border” and Parrothouse Records - CLICK HERE.